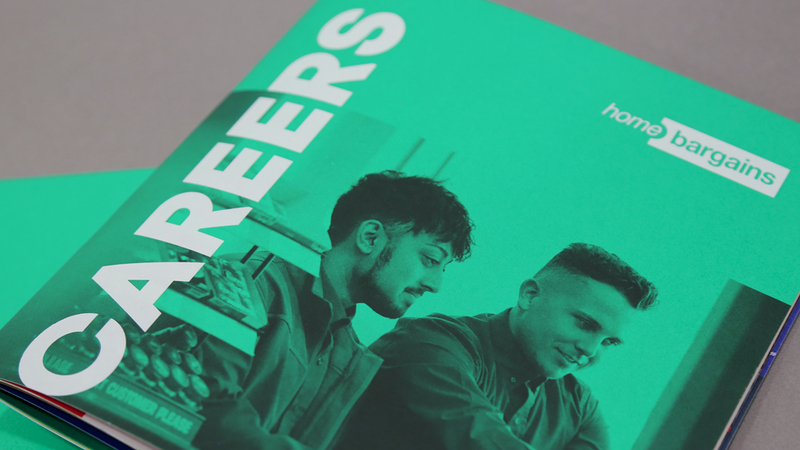 We created a bright and confident recruitment brochure design that supports company growth by attracting top graduate talent. Home Bargains – one of the UK’s fastest growing retailers – has come a long way since their first store opening in 1976. Now firmly established with 400 stores, and with an annual turnover of £1.5bn, the company plans to double its number of stores over the next five years. 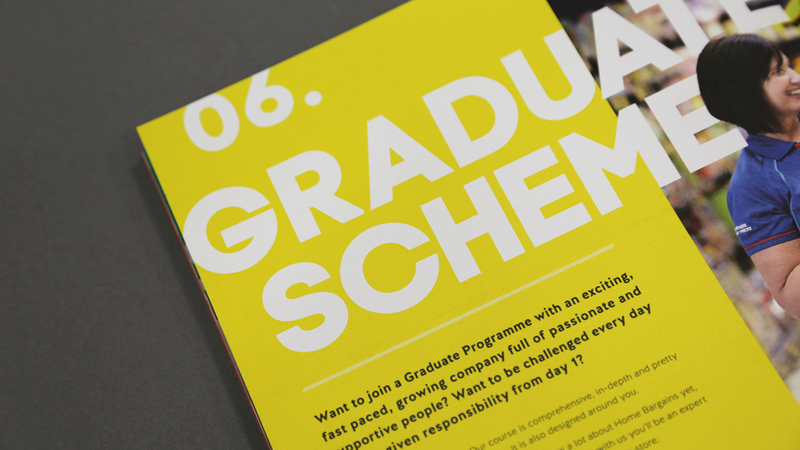 Attracting the best talent is vital to achieving the company’s goal, so our client decided to launch their first Graduate Recruitment Scheme outside Northern England, where the brand is less well known. 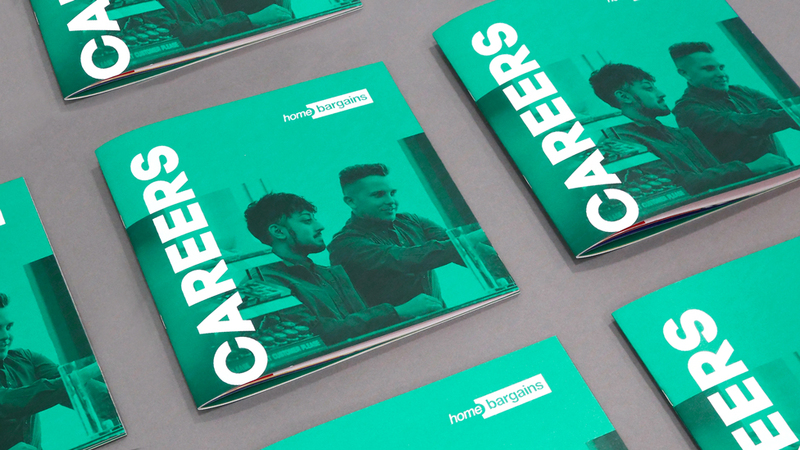 We had to help Home Bargains stand out from other recruiters at a major Careers Fair. 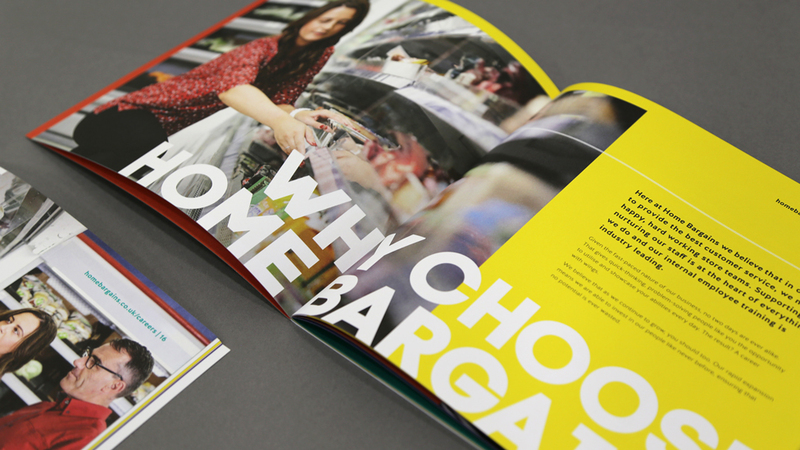 We produced a vibrant brochure that positions Home Bargains as forward-thinking company committed to their future and the success of their employees. 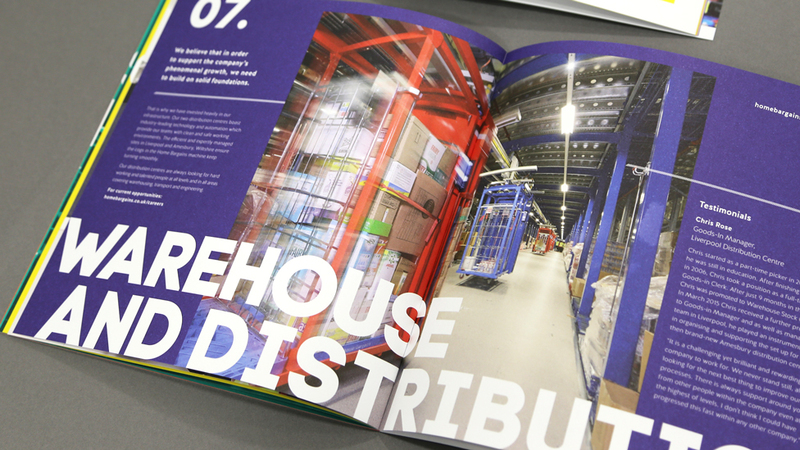 The brochure also reflects the company’s desire to change perceptions – helping customers and employees “rethink what they know about discount retail”. 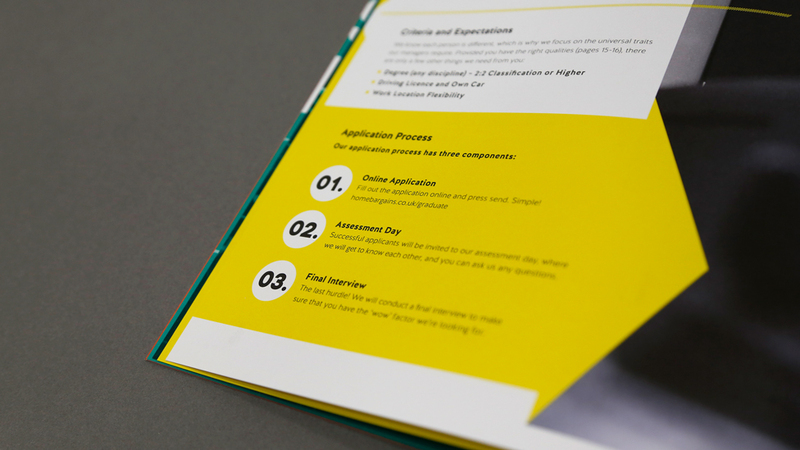 We opted for the use of foil on the cover to give the recruitment brochure design a premium look and feel. The contemporary-looking design brings our client’s stand-out philosophy to life, and confidently appeals to a younger audience by borrowing design elements from digital content. 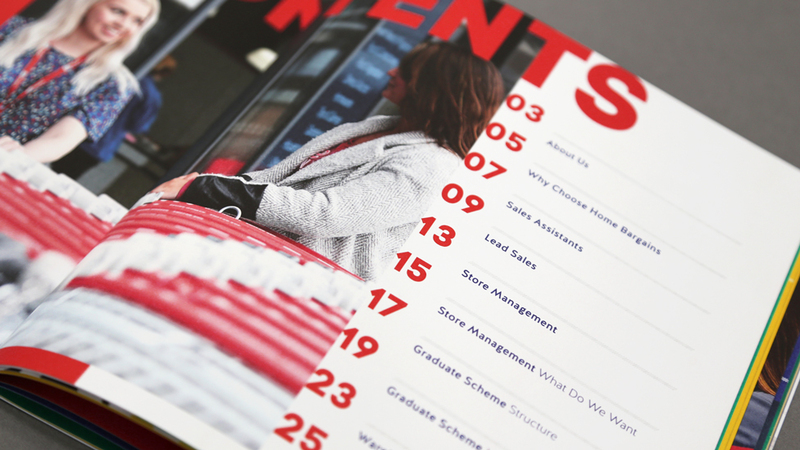 The bite-size format presents Home Bargains as approachable and action-focused. 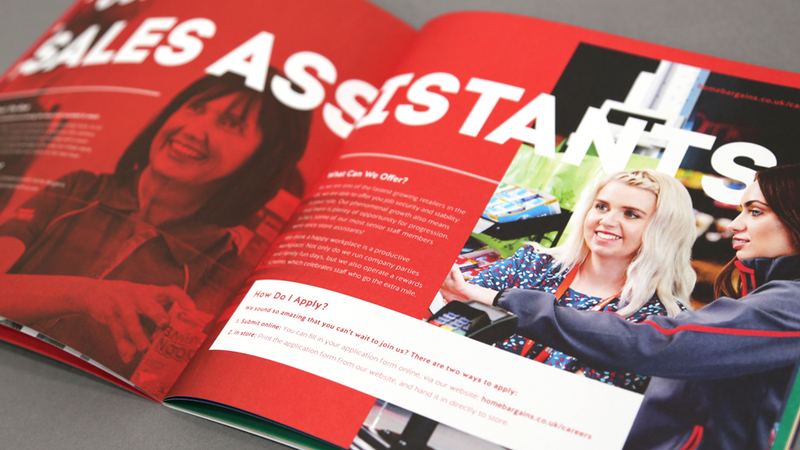 Bright colours give the brochure a punchy look. 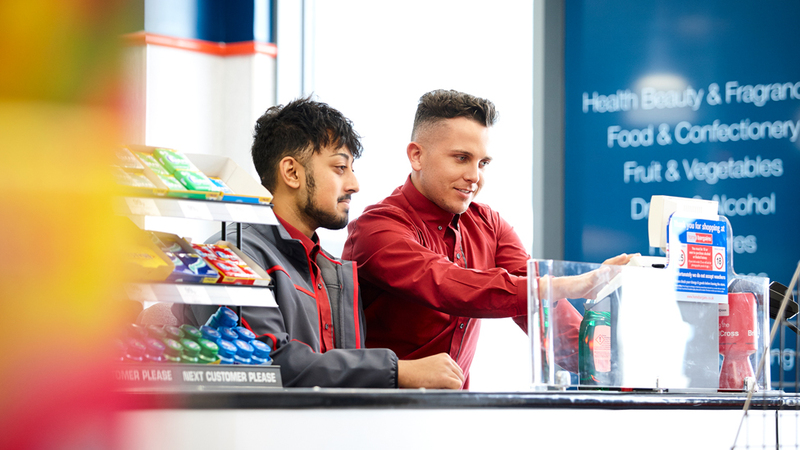 We were involved the coordination of a professional photo shoot featuring real employees; we asked for volunteers and cherry picked a handful to represent the diversity of the Home Bargains workforce. Fresh illustrations add vibrance and help structure content. 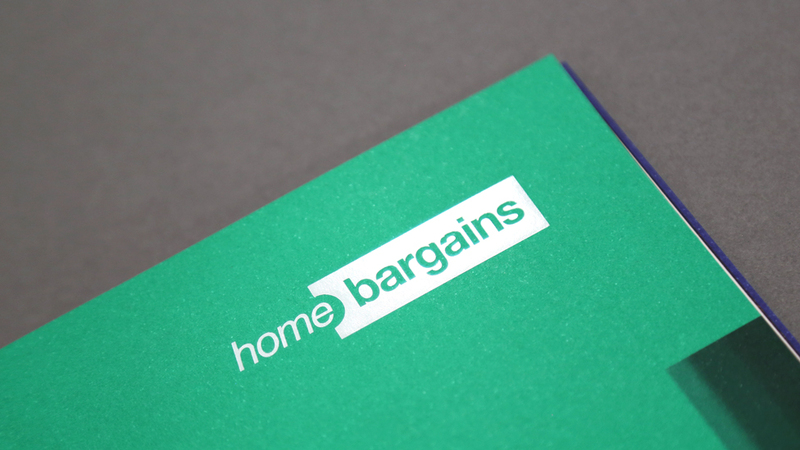 A real departure for Home Bargains, the brochure has attracted ambitious graduates. 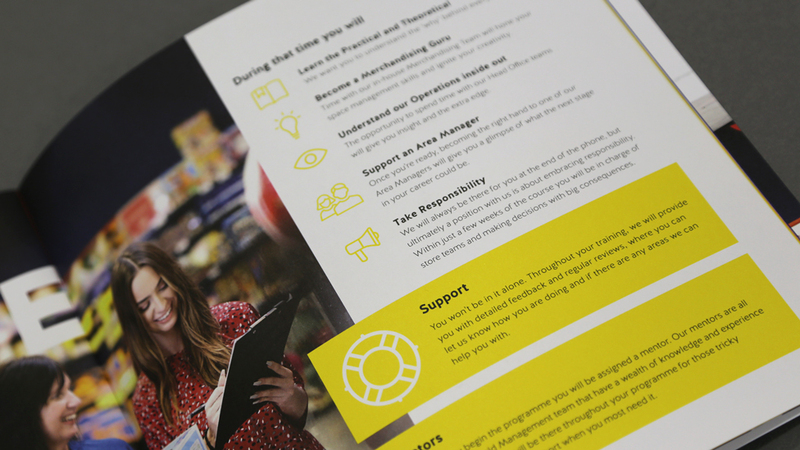 It was so well received that our client decided to revise the brochure to attract talent at all levels, and the photography we commissioned generated such an impact that it will be used in other promotional materials.